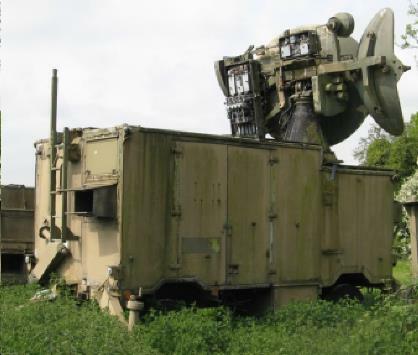 As can be seen from these few pictures considerable effort was required to save these precious items of Bloodhound equipment from being merely piles of scrap to being the best examples of their type in the United Kingdom. 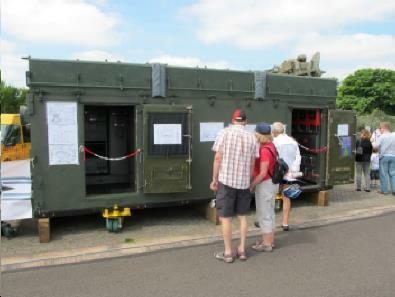 This restoration has been achieved through the dedicated hard work applied by members of the BMPG. 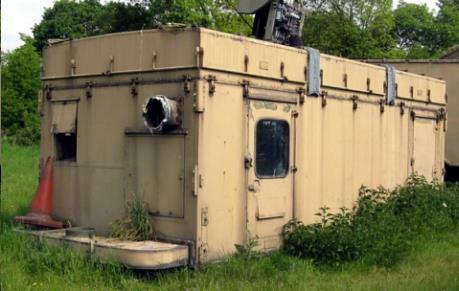 The Launch Control Post (LCP) was restored from the 'barn find' state on the left to a standard befitting a valuable item of ex-RAF equipment seen here on display at RAF Cosford. 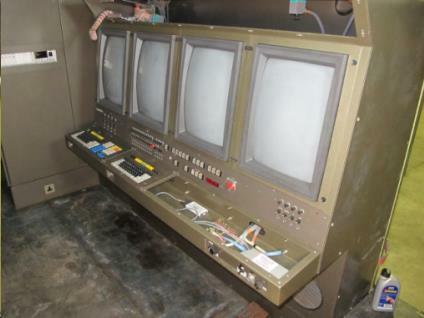 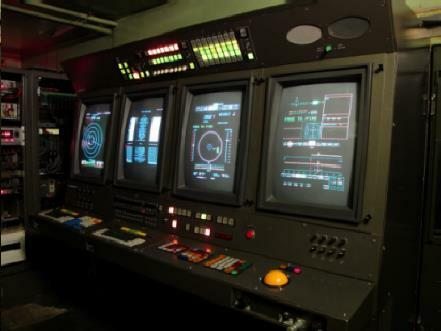 The LCP display console was raised from the inanimate collection of electronics on the left, that had not been powered up for 25 years, to the fully functioning Bloodhound MkII simulator on the right. 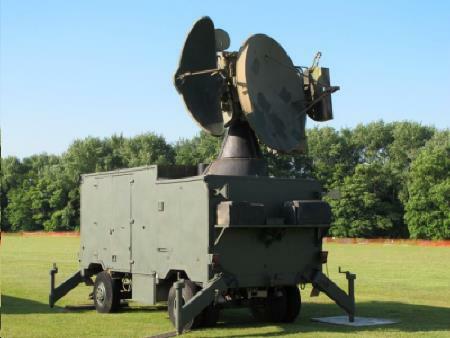 The Type 86 'Firelight' Radar was saved from the terrible state of deterioration seen on the left to a very respectable state on the right.